21-year-old Jamina Washington is charged Homicide by Vehicle, Involuntary Manslaughter, Leaving the Scene, Leaving the Scene while not Licensed and Tampering with Evidence. Philadelphia police made an arrest Friday in a fatal hit-and-run crash July 12 that killed a 19-year-old victim in the Hunting Park section of the city. 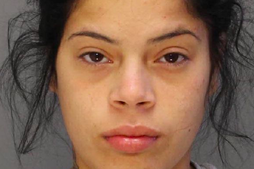 Jamina Washington, 21, was arrested and charged in connection with the crash on 2nd Street and Hunting Park Avenue. Authorities say Washington attempted to pass a vehicle that stopped in front of her and struck a victim on a bicycle at a high rate of speed. Washington allegedly stopped her car, briefly exited the 2008 Chevy Suburban, and returned to the vehicle before fleeing the scene. Police say Washington tried to conceal the crash by removing her license plate and hiding the vehicle. Witnesses, however, followed her and later identified both the suspect and the vehicle to authorities. The victim, 19-year-old Tyrone Tillman, was taken to Temple University Hospital with head injuries and was later pronounced dead. Washington is charged with Homicide by Vehicle, Involuntary Manslaughter, Leaving the Scene, Leaving the Scene while not Licensed and Tampering with Evidence.